Your belief in the Lord Jesus as God’s incarnation is not false. But why do you believe in the Lord Jesus? Do you really think of the Lord Jesus as God? You believe in the Lord Jesus because of what has been recorded in the Bible and because of the work of the Holy Spirit. But no matter what you say, you haven’t seen the Lord Jesus face to face, do you really dare say you know the Lord Jesus? In your belief in the Lord, you’re merely echoing the words of Peter, who said that the Lord Jesus is Christ, the Son of the living God, but do you believe that the Lord Jesus is the manifestation of God, is God Himself? Do you dare say that you understand the Lord Jesus’ divine substance? Do you dare guarantee that if the Lord Jesus were to come again expressing the truth, you would recognize His voice? Your belief in the Lord Jesus amounts to nothing more than a belief in “the Lord Jesus” these three words. You believe in His name only. You don’t understand the Lord Jesus’ divine substance. If you do understand, then why can’t you distinguish the voice of God’s Spirit? Why don’t you acknowledge that the truth which Almighty God expresses emerges from God and is the voice and word of the Holy Spirit? From what I’ve seen today, how you reject the voice of God and deny the truth which God expresses, I am sure that you do not know the incarnate God! If you had been born two thousand years ago, in the age when the Lord Jesus was preaching and doing His work, you certainly would have joined the Jewish chief priests, scribes, and Pharisees in condemning the Lord Jesus. Is this not the case? The Jewish chief priests, scribes, and Pharisees had believed in the one and only God for many years, but why was it that they didn’t recognize the Lord Jesus? Why did they nail Him to the cross? What was the issue? Why is it that the pastors and elders of the religious world in the last days fail to hear the voice of the Holy Spirit? Why do they still condemn the judgment work of Almighty God in the last days? Please think about this: Isn’t someone who believes in God but fails to acknowledge God’s incarnation an antichrist? The Jewish leaders resisted and condemned the Lord Jesus, the incarnate God. They were all antichrists revealed by God’s work. As for the pastors and elders of the religious world in the last days who resist and condemn the incarnate Almighty God, are they not also antichrists exposed by God’s work? We can all plainly see that the majority of pastors and elders in the religious world all resist and condemn the work of Almighty God in the last days; they look upon Almighty God’s work without really seeing, they hear His words without really listening. Almighty God has expressed all the truths to purify and save mankind. He has conquered and saved a group of people and perfected them into overcomers. The gospel of the kingdom is spreading throughout the world, this is inexorable! Could the pastors and leaders of the religious world possibly not see the facts of God’s work? How can they still say something as ridiculous as, “Belief in Almighty God is belief in a human”? What is the issue here? This just goes to show that there are many who believe in the vague God of the high heavens, but there are few who have knowledge of the incarnate God. Isn’t this the fact? Why did the Lord Jesus condemn those Pharisees that resisted Him? Because they only believed in the vague God of the high heavens, but condemned and resisted the incarnate God. The chief priests, scribes, and Pharisees clearly saw the authority and power of the Lord Jesus’ words and work. So how could they still brazenly resist, condemn, and blaspheme the Lord Jesus? They said that He cast out devils through Beelzebub, chief of the devils, and aimed to deceive man, and even nailed Him to the cross alive; what does this show? Was it not because they saw the Lord Jesus as an ordinary human that they did all this? Just as they said, “Is that not a Nazarene, the son of a carpenter?” In the conception of the Pharisees, the flesh of God incarnate should possess supernatural qualities. He should be of great stature and powerful build, with a heroic bearing and commanding presence. His words should have an earthshaking and deafening ring, they should strike fear in the hearts of man, so that no one dare approach Him. Otherwise, He could not be considered God. In truth, they didn’t have the slightest understanding of what is meant by the incarnation and did not seek in the Lord Jesus’ word and work for the truth, to find God’s disposition and all that God is and has. They took the Lord Jesus for an ordinary man, judging and blaspheming Him based upon their illusions and conceptions. This proves that while they believed in God, they did not know Him and even resisted Him. Now, the pastors and elders of the religious world say that the One we believe in is merely human. This is no different from how the Jewish chief priests, scribes, and Pharisees condemned the Lord Jesus’ followers. As you can see, most pastors and elders of the religious world are no different than the hypocritical Pharisees of yore: They all believe in God while resisting Him at the same time. They are scoundrels who only acknowledge the vague God of the high heavens while denying Christ Himself! What right do they have to condemn those that accept and obey Christ? Pertaining to what is God incarnate, and what is the essence of God incarnate, it can be said as the mystery of the truth that we believers of the Lord fail to understand. For thousands of years, despite believers knew that the Lord Jesus was the incarnation of God, no one could understand what God incarnate and His essence are respectively. It was only until the advent of Almighty God in the last days that this mystery of the truth was unfolded to mankind. Let’s read a few passages of Almighty God’s word. 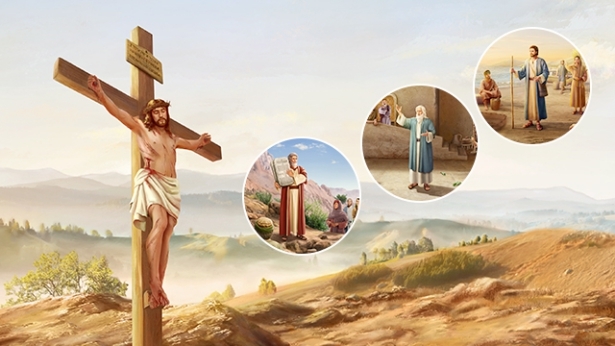 Let’s read some other passages of Almighty God’s word: “The significance of incarnation is that an ordinary, normal man performs the work of God Himself; that is, that God performs His divine work in humanity and thereby vanquishes Satan. … If, during His first coming, God had not had the normal humanity before the age of twenty-nine—if as soon as He was born He could work miracles, if as soon as He learned to speak He could speak the language of heaven, if the moment He first set foot upon the earth He could apprehend all worldly matters, discern every person’s thoughts and intentions—such a person could not have been called a normal man, and such flesh could not have been called human flesh. If this had been the case with Christ, then the meaning and the essence of God’s incarnation would have been lost. That He possessed normal humanity proves that He was God incarnated in the flesh; the fact that He underwent a normal human growth process further demonstrates that He was a normal flesh; and moreover, His work is sufficient proof that He was God’s Word, God’s Spirit, becoming flesh. God becomes flesh because of the needs of the work; in other words, this stage of work needs to be done in the flesh, done in normal humanity. This is the prerequisite for ‘the Word becoming flesh,’ for ‘the Word appearing in the flesh,’ and is the true story behind God’s two incarnations” (“The Essence of the Flesh Inhabited by God” in The Word Appears in the Flesh). “… The humanity of God incarnate exists to maintain the normal divine work in the flesh; His normal human thinking sustains His normal humanity and all His normal corporeal activities. One could say that His normal human thinking exists in order to sustain all the work of God in the flesh. If this flesh did not possess a normal human mind, then God could not work in the flesh, and what He needs to do in the flesh could never be accomplished. … So the incarnate God must possess a normal human mind, must possess normal humanity, because He must perform His work in the humanity with a normal mind. This is the essence of the work of the incarnate God, the very essence of the incarnate God” (“The Essence of the Flesh Inhabited by God” in The Word Appears in the Flesh). We believers all know that the way which the Lord Jesus preached, the word He expressed, the mysteries of the kingdom of heaven which He revealed, and the demands which He made of us humans were all the truth, all God’s own voice, and were all manifestations of God’s life disposition and all that He has and is. The miracles He performed, such as healing the sick, casting out demons, calming the wind and sea, feeding five thousand with five loaves of bread and two fish, raising the dead and so on, were all manifestations of God’s own authority and power, which no created man is possessed of or capable of. Those that sought the truth at the time, like Peter, John, Matthew, and Nathanael, recognized from the Lord Jesus’ word and work that He is the promised Messiah, and so followed Him and received His salvation. Whereas the Jewish Pharisees, despite hearing the Lord Jesus’ sermons and seeing Him perform miracles, still saw Him as just an ordinary person, with no power or stature, and so they dared brazenly resist and condemn Him without the slightest fear. In the end they committed the greatest of sins in nailing the Lord Jesus to the cross. The lesson of the Pharisees calls for deep reflection! This clearly exposes their truth-hating and God-hating antichrist nature, and reveals the foolishness and ignorance of corrupt humankind. At present, the incarnate Almighty God, just like the Lord Jesus, does the work of God Himself within normal humanity. Almighty God expresses all the truths which corrupt humankind requires to be saved, and carries out the work of judgment starting from the house of God in the last days. Not only does He judge and expose the satanic nature of corrupt mankind and the truth of their corruption, He has also revealed all of the mysteries of God’s six-thousand-year management plan of saving mankind, elucidated the path by which mankind can be freed from sin, be purified and saved by God. He has revealed God’s inherent righteous disposition, all that God has and is, and God’s unique power and authority…. Almighty God’s word and work are a complete manifestation of the identity and substance of God Himself. These days, all those that follow Almighty God have heard God’s voice in the word and work of Almighty God, have seen the manifestation of God’s word in the flesh and come before Almighty God’s throne, receiving God’s purification and perfection. Those of the religious world who still deny, resist, and condemn Almighty God have made the same mistake as the Jewish Pharisees, treating Christ of the last days, Almighty God, like any other ordinary person, without bothering to put the slightest effort into seeking and studying all the truths which Almighty God has expressed, thus they nailing God to the cross once again and enraging God’s disposition. As one can see, if we hold on to our conceptions and imaginations, and don’t seek and study the truths which Christ expresses, we will be incapable of recognizing the voice of God expressed by Christ, will be unable to accept and obey Christ’s work, and will never receive God’s salvation in the last days. If we don’t understand the truth of the incarnation, we won’t be able to accept and obey God’s work, we will condemn Christ and resist God, and we will also be likely to receive God’s punishment and curses. So, in our faith, to be saved by God, it is extremely important that we seek the truth and understand the mystery of the incarnation! Previous：Question 4: The religious pastors and elders often preach to believers that any testimony about the Lord’s return in the flesh is false. They base this on the Bible verses: “Then if any man shall say to you, See, here is Christ, or there; believe it not. For there shall arise false Christs, and false prophets, and shall show great signs and wonders; so that, if it were possible, they shall deceive the very elect” (Mat 24:23–24). We now have no idea how we should discern the true Christ from false ones. Can you shed some light on this question? Next：Question 6: God used Moses to do the work of the Age of Law, so why doesn’t God use people to do His work of judgment in the last days? Does He really have to become flesh to do it Himself?